If there is one thing in life that is certain, it's that grocery shopping is a hassle. 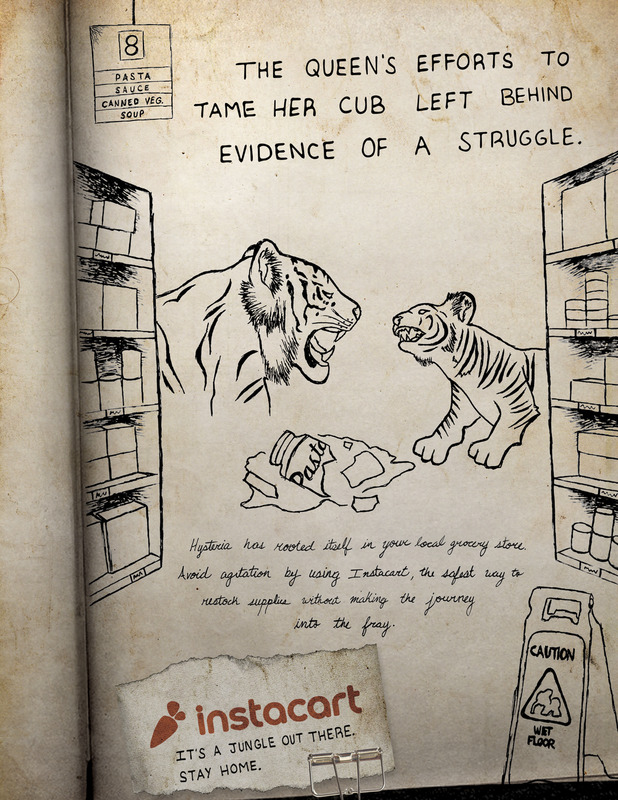 With Instacart, shoppers can now avoid the grocery jungle and let someone else brave the dangers for them. Print ads convey disastrous grocery shopping scenarios through the eyes of a wilderness explorer. Bus stop ads depict shadows of a grocery store occupied by intimidating creatures.